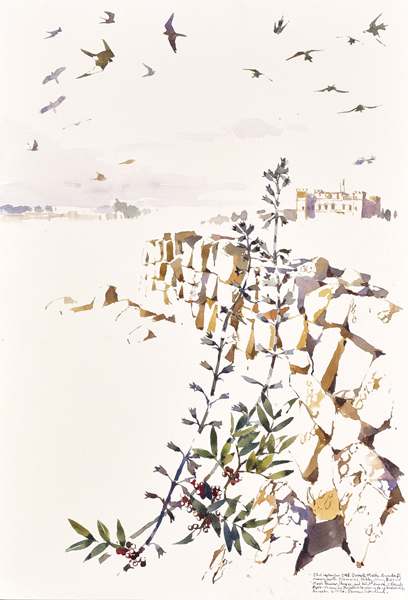 I have been invited by Birdlife Malta to run painting workshops as well as work around the island, painting the migratory birds that use this pathway as their route to Africa. 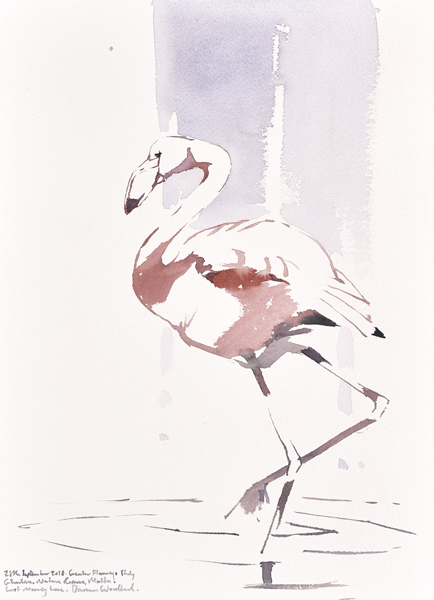 As a result, I will be auctioning some of the paintings produced there, with all proceeds going to Birdlife Malta, to aid their invaluable work the do for teh conservation of our birds. Over Thursday 6th December - Sunday 9th December, my twitter page @DarrenNWoodhead will run the auction. I will post full details shortly. Darren Woodhead is a pure field painter based in East Lothian, Scotland. A Graduate of the Royal College of Art, he works direct in brush and watercolour outside: there is no studio. Concentrating on the natural world, his paintings are atmospheres, surroundings depicting birds, landscapes, butterflies and mammals - his local Scottish wildlife, as well as expeditions worldwide. His paintings are narratives, encompassing energy, life, spontaneity and movement, welcoming the textures and atmosphere that working outside gives and using the natural white of the paper. Here on the website you will find original Watercolour Paintings, Limited Edition Giclee Prints and his books. Julian Spalding, Author; ex-Director, Glasgow Museums and Art Galleries. Darren appeared live on BBC2's Springwatch Unsprung programme on Monday 12th June 2017 from 6.30pm to 7pm. 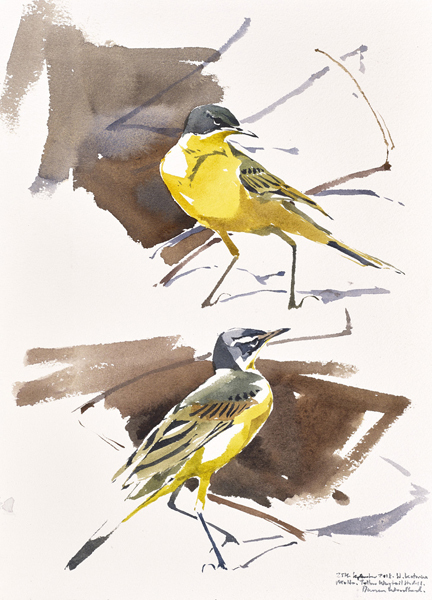 Will be exhibiting at the British Birdwatching Fair, Rutland Water Stand 18 Art Marquee, 17th - 19th August 2018.